When you just don't have the time to browse a site looking for a particular arrangement or you just cannot make up your mind, we do offer what we call our designer choice arrangements they can be found under our occasion tabs. The Flower Shop is a full service Floral Studio and Florist located in Charlottesville, VA. We are also not affiliated in any way with any WIRE SERVICE, privately owned. 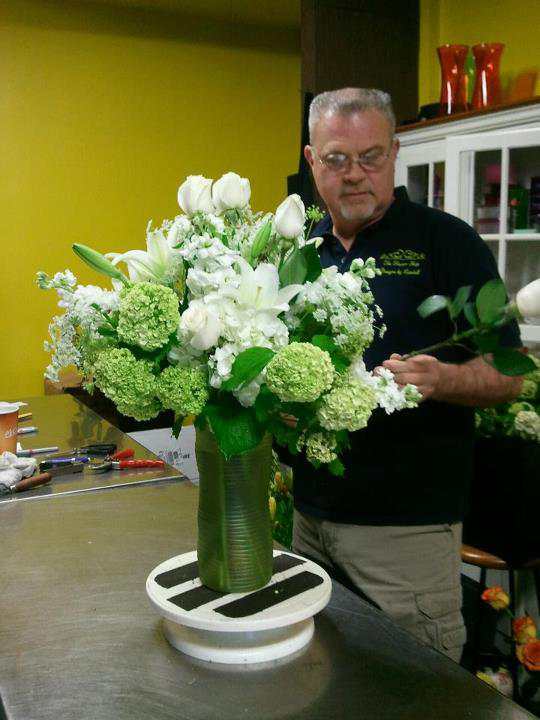 Randall Cash, Lead Designer/Owner, has been bringing the world’s most exquisite flowers, beautiful floral design and exceptional customer service to Charlottesville for over 25 years. With the help of his knowledgeable, talented team, The Flower Shop has become a recognizable standard of high-end floral creation. We import our own flowers directly from the farms! The style of designs range from Modern design to Loose and Garden like. Birthday, Anniversary, Thank You, Funeral, Corporate Events or a grand affair of a Wedding, The Flower Shop will exceed your expectations. In Studio ordering by appointment only!